Want to experience something you can tweet about? Well, you’ve come to the right place for there’s nowhere better than Iceland for your next winter destination. 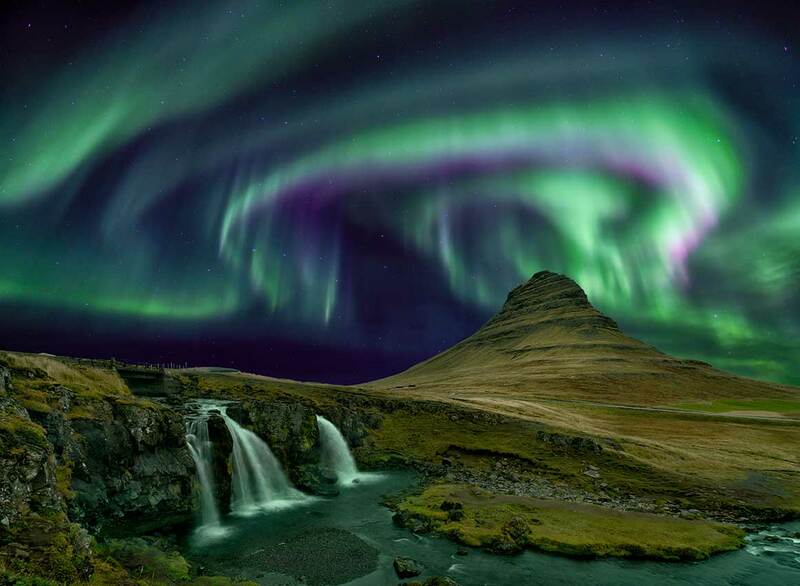 Why?, you may ask… First off, there are tons of exciting tours and activities you can go on and so many enchanting places to visit, but the most thrilling adventure of all is surely to be able to catch a glimpse of the Northern Lights in Iceland. The Northern Lights or Aurora Borealis as they are also know are a spectacular natural phenomenon resulting from electrically charged particles from the sun colliding with oxygen particles in our atmosphere appearing as dancing lights high in the sky and are usually green, but occasionally also purple, red, pink, orange and blue. If you are lucky enough you can see the whole rainbow of colours. They are unpredictable and their sights can never be guaranteed. The best time to see the Northern Lights would be in the darkest months of the year which would be from October to the end of March. Some people have also specified the months between November and February but you do have to remember that it is winter time and the weather can be unpredictable. The longer your stay, the better your chances are of seeing them. Go on, take that well-deserved long break for yourself and your loved one(s). You can improve your odds of seeing the Northern Lights by staying in one of the hotels in the countryside and spend every night there. These hotels are strategically located out of the city and away from the bright lights so you will have no problem seeing the Northern Lights from there. If the Northern Lights are a priority, you can increase your chances of seeing them by first making sure to make your stay a long one, at least a week. You don’t have to lift a finger because we will be doing the work for you and monitor the Aurora forecast ourselves each night during your stay. 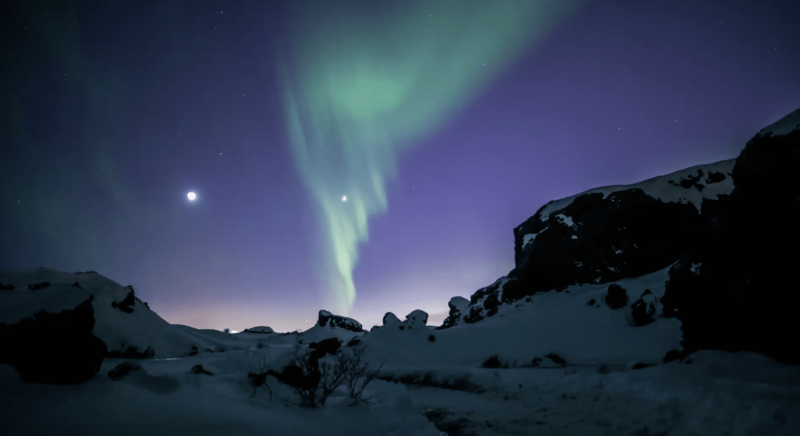 We will do our best to find out where the Northern Lights might appear and take you to the best spots. Relax, enjoy and warm yourself up with some hot chocolate while being driven to the best areas in one of our luxury vehicles wherever the lights can be seen with your own private guide by your side. Remember when you visit is that it will be winter and it will be freezing with below zero temperatures so be sure to dress accordingly! Have a fun-filled holiday full of wonderful and cherished memories that will last forever.